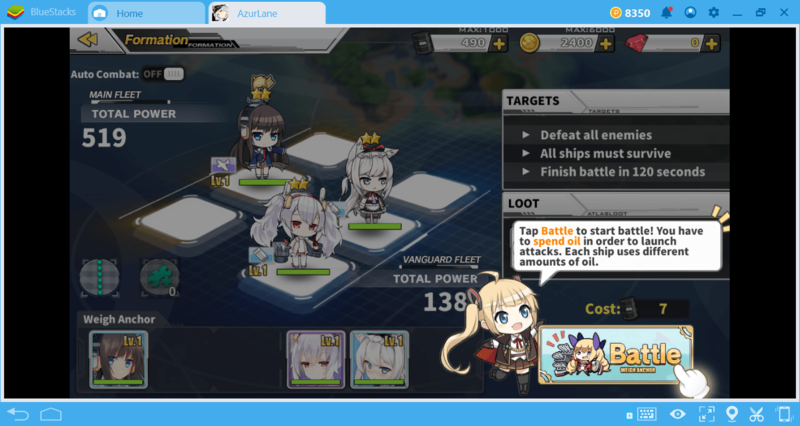 Azur Lane is not just a game wherein you are trying to build the best fleet: You need to do base management too. Especially in the late-game phase, there are some buildings that will be of great use to your fleet and you should know as much as possible about them. In addition, there are many types of missions that you can complete. If you know about them, you can play more efficiently and reach the late-game phase earlier. In this guide, we will talk about both. However, before we start, let us make a reminder: The information in this guide was prepared according to the English version of the game. If you are playing the Chinese version, you can see additional buildings and different types of missions. 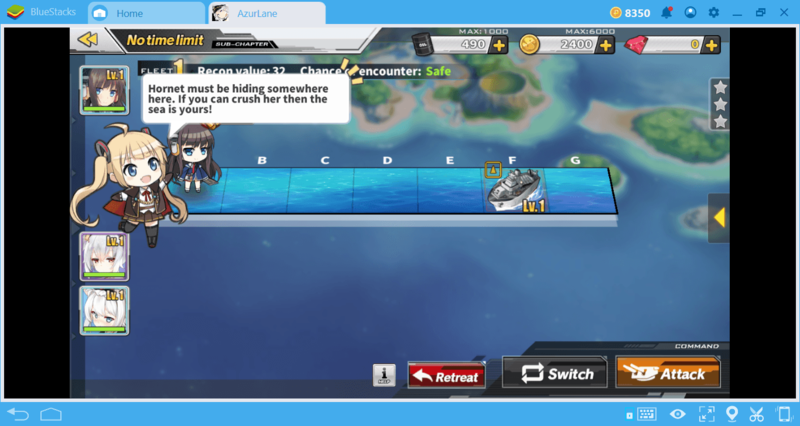 We will briefly mention these differences, but remember that Azur Lane is still a fairly new game and is updated frequently. 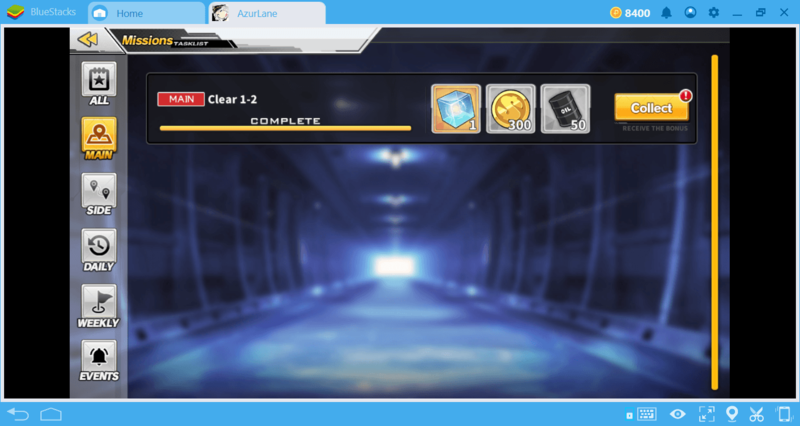 There are 2 types of missions in Azur Lane and these are defined as “main” and “side”. In addition, there are 3 different achievement systems. By doing the main and side missions, you can complete a large part of these achievements. We’ll take a close look at these types of missions below. You will see these “squares” in each mission. To reach the square where your target is, you need to cross over the other squares. During this time, you can be ambushed or discover a hidden treasure. So you can enter combat more than once until you reach the square where your main mission is. After fighting with a couple of enemy ships, the boss ship will appear and beating it will complete the whole sub-chapter. Note that going to battle requires you to use oil every time. The amount of this oil will keep increasing as the main story progresses. Don’t forget to check out the “targets” list on the battle screen: If you achieve the additional goals here, the amount of the prize will also increase for completing that mission. You can automatically re-play a completed sub-chapter. (In order to activate this system, you must complete the first chapter.) Every time you play again, you will still be able to earn rewards and XP points. 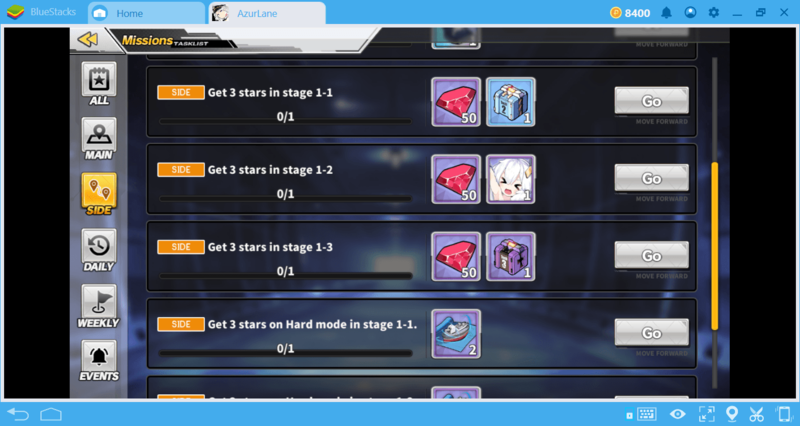 After a chapter ends, be sure to get your achievement prize from the “missions” screen. Side Missions: The missions in this category are actually additional goals of the main missions. If you accomplish all additional goals while completing story missions, you can earn various prizes, such as gems, new ships, and loot boxes. 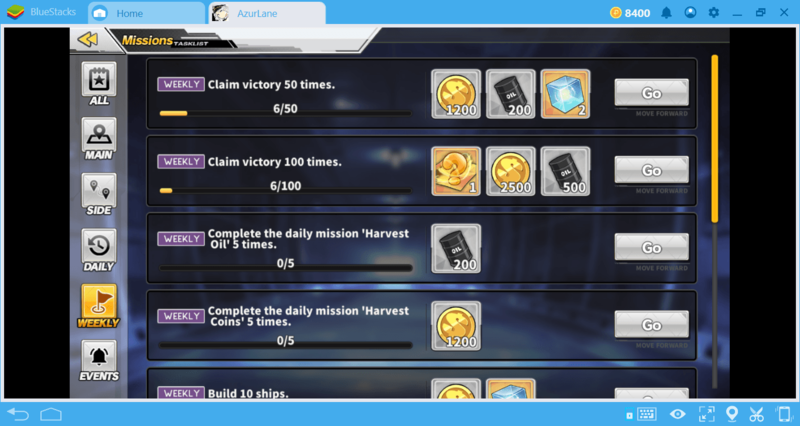 Daily, Weekly, and Event Missions: This category consists of daily or weekly goals, not missions. For example, completing a story mission every day or winning 50 battles every week. You can earn gold, wisdom cubes, and oil in return for achieving these goals. Dorm: This building opens when you reach level 8. The main task of the building is to raise the mood of your ships. Ships with low levels of mood gain 50% less XP points and are not so effective on the battlefield. Ships that you send to more than one mission in a row will have a lower mood, so don’t forget to send these ships frequently to dorm. Before logging out of the game every day, we recommend that you identify the low-mood ships and send them here. You can increase the effectiveness of the dorm by purchasing various decorations. Academy: The Academy is actually the name of an area with multiple buildings. 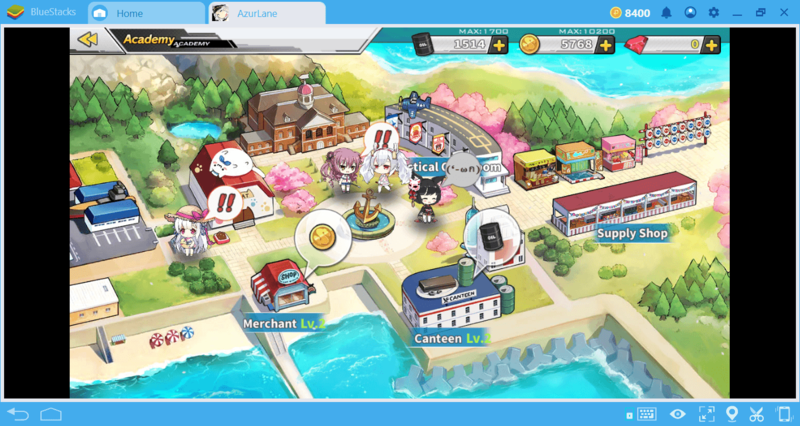 The English version of Azur Lane has four buildings available. 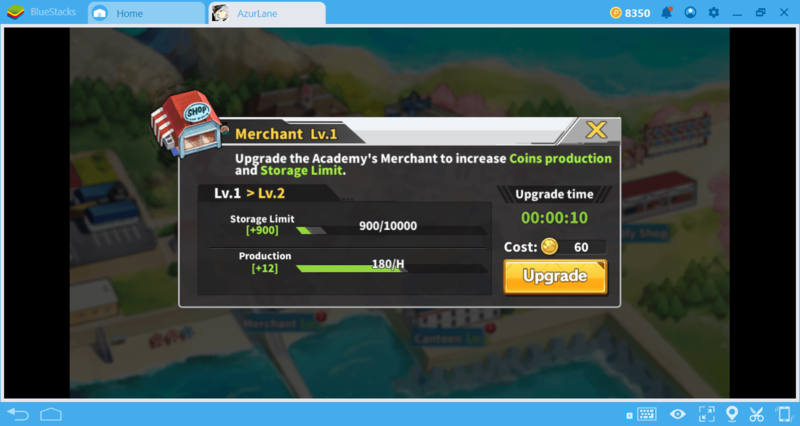 Merchant: By upgrading this building, you can increase your inventory capacity and gold production rate. 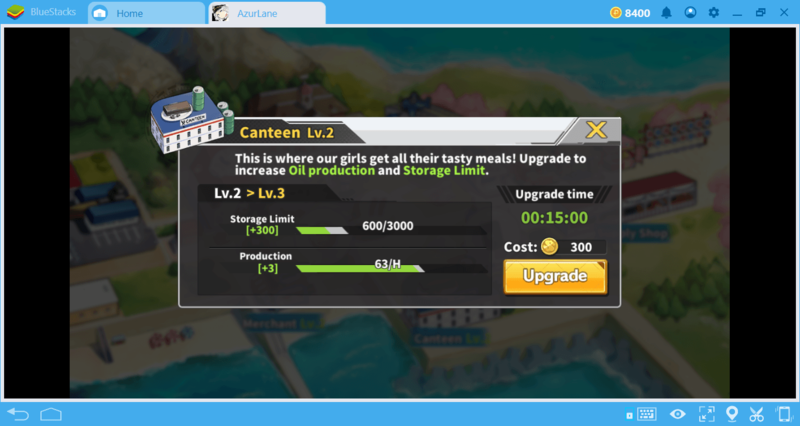 Canteen: A building used for oil production. In the late-game phase, the need for oil will increase considerably, so we recommend upgrading this building first. Supply Shop: The building where you can buy items in exchange for gold and gems. 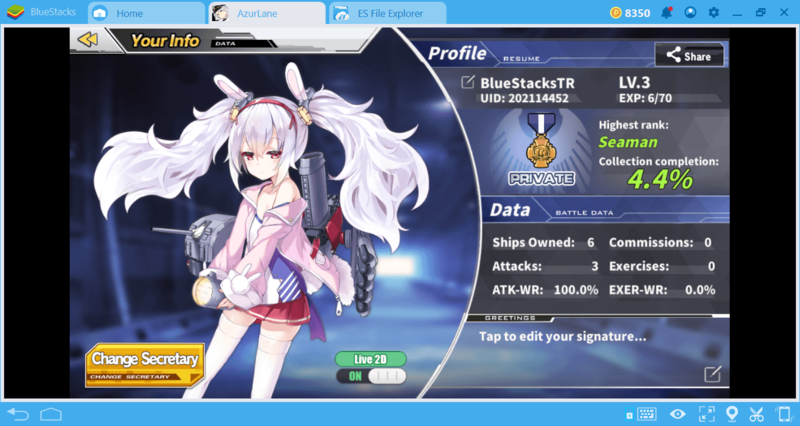 It is very easy to get gold on Azur Lane, so we recommend visiting here often. You can get very valuable equipment using gold. If you are in a guild, you can also access the guild shop from this screen. 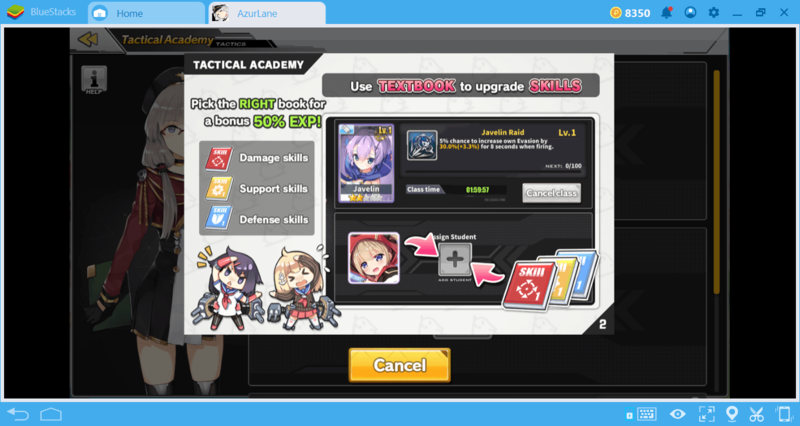 Tactical Classroom: This building can be used to raise the base skill of your ships. There are three types of base skill; damage, defense and support, and you can make them stronger by using items called ’textbooks’. This building does not raise the level of your ships. It only makes their skills more powerful. In this context, remember to make the right choices. For example, it would be of no use to increase the damage skill of a repair ship. We recommend that you upgrade the defense skill of heavy class ships, attack skill of light class ships, and support skill of other ships. When you reach Level 50, a building called “Auditorium” will be unlocked. In this building, you can raise the actual level of your ships. But until then, you can only upgrade their skills. 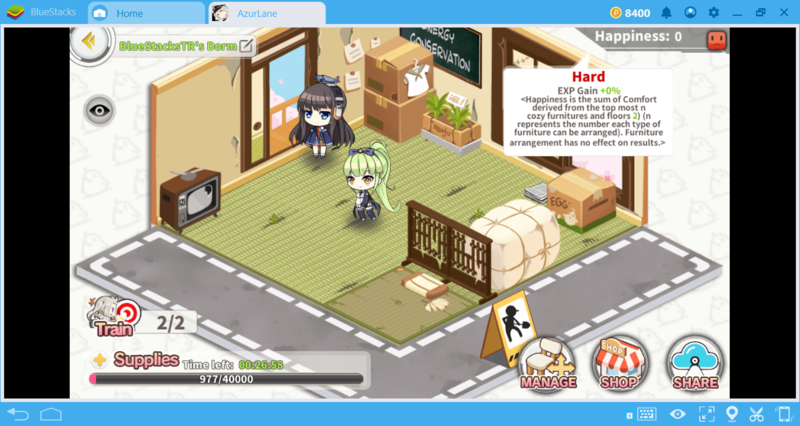 There are a few additional buildings in Azur Lane’s Chinese version, for example “Cat House”. The “Meowficers” here provide your ships with buffs they can use on the battlefield. In the English version, we expect this building to be activated soon. 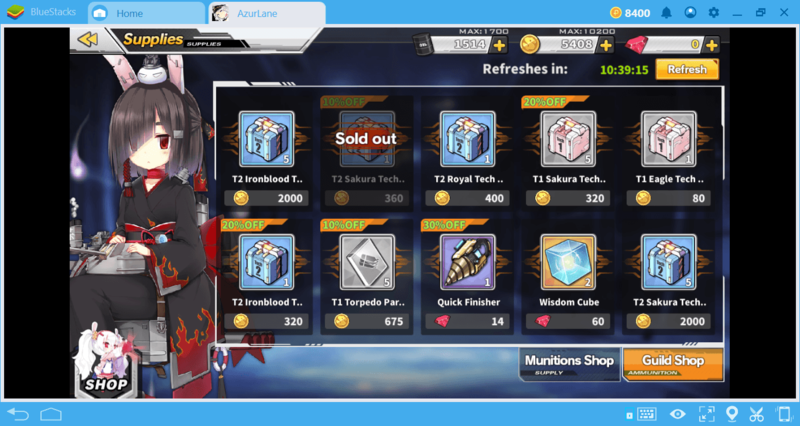 These are the most important things you need to know about Azur Lane buildings and mission types. By using both efficiently, you can be more effective on the battlefield. Keep in mind that the mouse support provided by BlueStacks 4 is very useful in late-stage battles: When your screen is filled with hundreds of enemy shells, it is not enough to “touch” to avoid them. Good luck on the battlefield and may your Waifu girls always be with you!